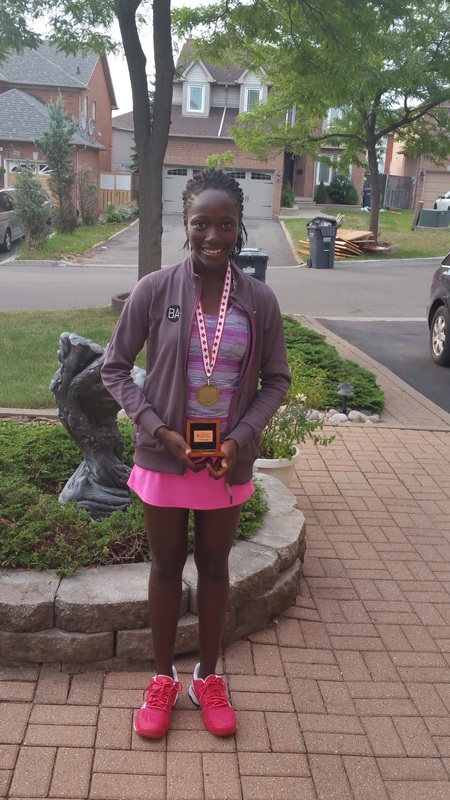 YWTC member, Kelly Dowuona, finished within the top 4 at the Canadian Nationals held in Quebec. She was selected to join the Canadian National Junior team to complete against international players at Flushing Meadows Oct. 12-15th, 2016. Kelly won the Junior U12 Doubles event and beat the top 3 out of 4 top international junior players in singles. Kelly has been invited by Tennis Canada to represent Canada at the upcoming Junior Orange Bowl International competition being held in Florida Dec. 12th. Kelly will be touring the United States for training and practice matches prior to this event.